The Chaparral High School Patrons for the Performing Arts supports over 600 students and their pursuit of an arts education. Chaparral was named an Outstanding Arts School in 2014 by Think 360 Arts in Colorado. In order to continue the level of artistic education for these students additional funds are needed. 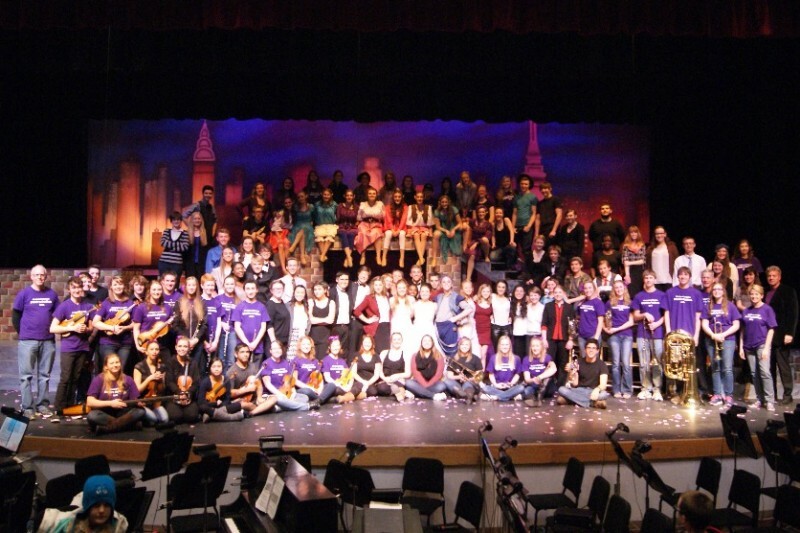 All funds raised by the Chaparral Patrons of the Performing Arts are utilized in a manner that enables the Performing Arts Department to provide the best educational experience possible in a safe and secure environment. This campaign is a great way for distant relatives and friends who cannot always make it to our annual spring gala fundraiser to help the Patrons continue to support the needs of the Performing Arts Program at Chaparral. We are a group dedicated to ensuring that all the performing arts remain a vital part of the educational opportunities at Chaparral, and to be there to help cover the costs of equipment and specific program requests that are not in the school district budget. Want to know more about the Patrons' Organization - visit our website at www.chspatrons.org to see who we are and what we do. Your support and help to keep our school programs the best they can be are sincerely appreciated! Supporting the Erwin kids ... Go for it Morgan. Thankful for the wonderful memories created in the performing arts department over the past 18 years for all four of my children! So, um, maybe some of this could go toward the purchase of Uncle Remus' "Brer Rabbit"...?